IBF/WBA/WBO/IBO heavyweight champion Wladimir Klitschko (63-3, 53 KOs) will defend his titles against unbeaten American Bryant Jennings (19-0, 10 KOs) on April 25 at Madison Square Garden in New York. The 38-year-old Klitschko will finally fight on US soil for the first time since he easily outpointed Russia's Sultan Ibragimov in February 2008 also at Madison Square Garden. Jennings will attempt to emulate the success of Deontay Wilder, who took the WBC belt with Saturday’s points win over Bermane Stiverne, becoming the first American to win a world heavyweight title since 2006. Jennings, 30, was in a mandatory position to challenge Wilder, following his points win over Mike Perez in an eliminator in July. But the Phildelphia fighter opted to take on Klitschko for a bigger pay day and greater glory. 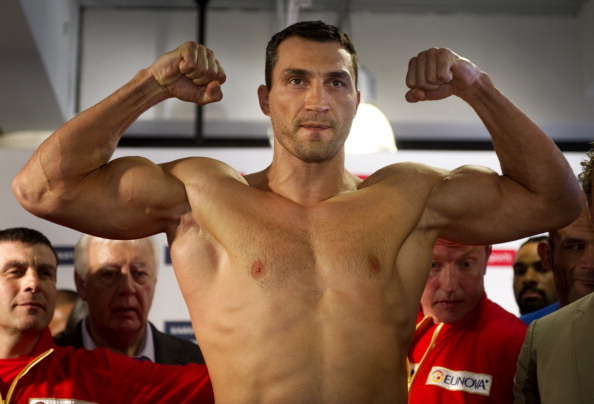 “I do have great respect for Bryant Jennings and his achievements," said Klitschko. "I know this will be a tough challenge. I am extremely happy to fight in New York again."